I cannot believe I have not been on the blog for such a long time but my laptop was in serious troubles that hopefully have been now fixed, so here I am. Am I the only one that just cannot blog from mobile phone or tablet? I just hate the blogger app with all my heart, it's basically useless. 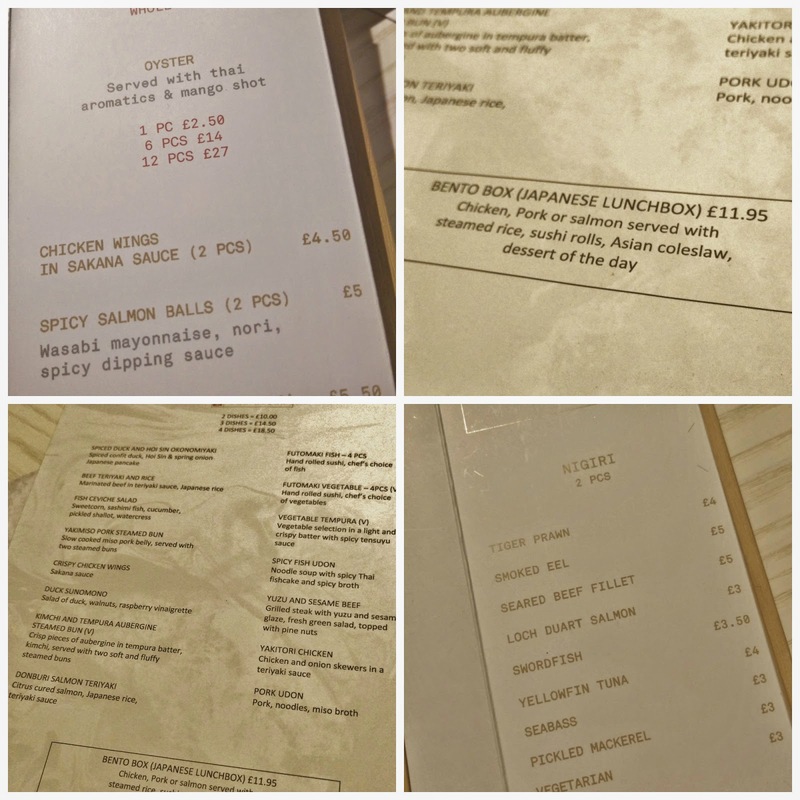 Today I am coming back with a review I hope will help you enjoying some nice food in a new place in Manchester. 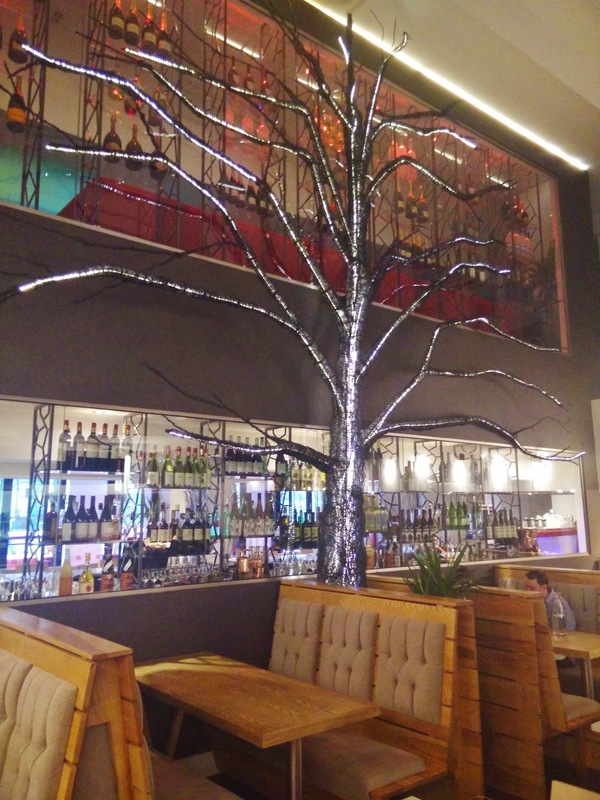 Back in November, a new Pan Asian restaurant, Sakana, opened its doors into the buzzing Deansgate area. 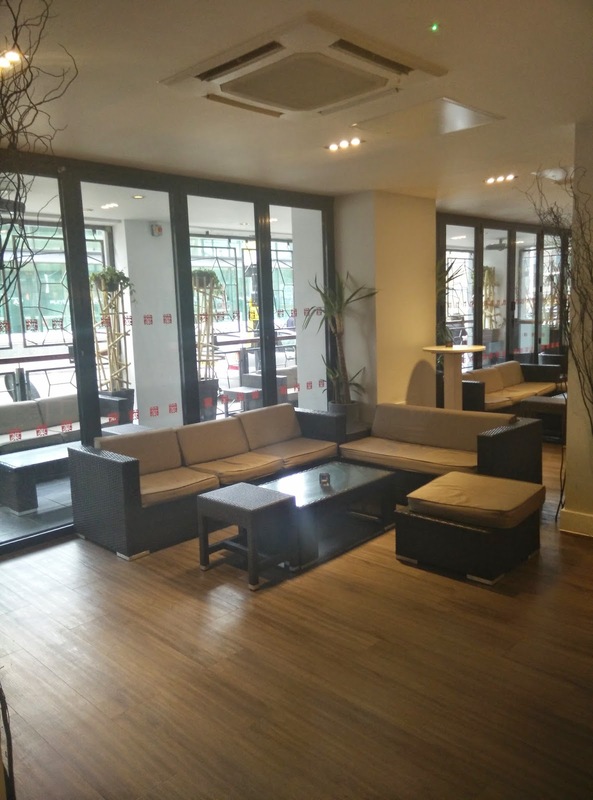 The location itself it's just spot on, St. Peter Street is close to two metrolink stations (Deansgate and St.Peter's Square) and the Great Northern car park is just two minutes walking distance. 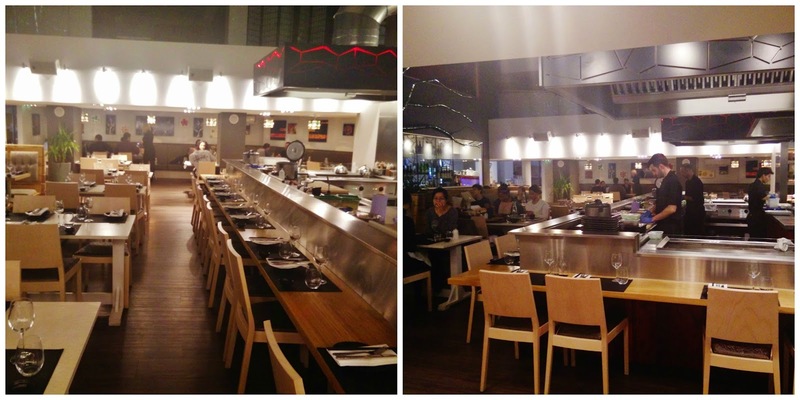 The restaurant is quite big and beautifully decorated without looking overdone or worse, tacky. 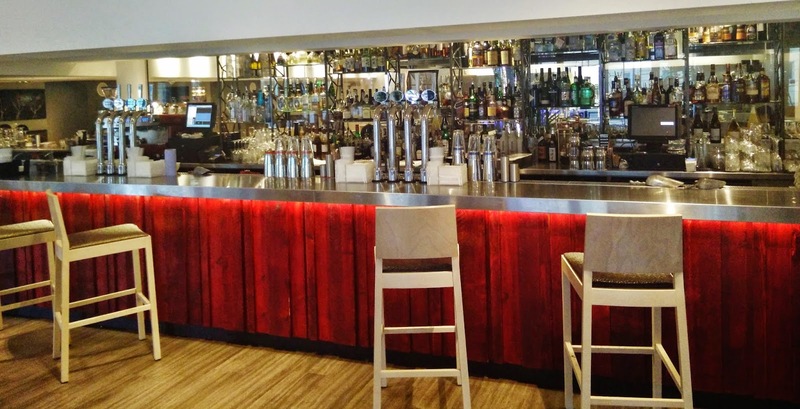 The entrance is dominated by a massive bar with a menu that I am sure will be much appreciated thanks to an impressive selection of drinks and cocktails. Me, Perfect Husband and Precious Baby were escorted to our table which was on the side of the main room, nicely quite and cosy, considering how big is the place. 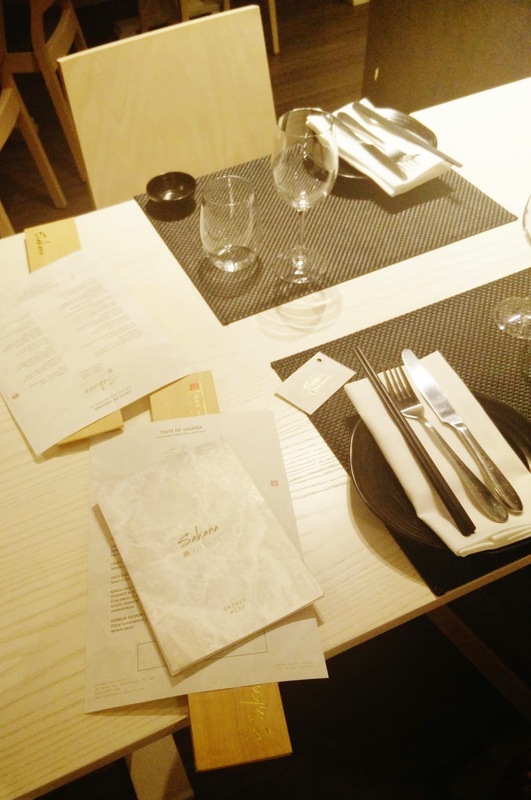 The main figure of the place has to be the massive open kitchen situated just in the middle of the restaurant, where several chefs can be spotted "working the magic" with a sushi area and tappanaki and robata grills, all surrounded by a seating area. After browsing around the place to take some pictures, I went back to business concentrating on the menu. 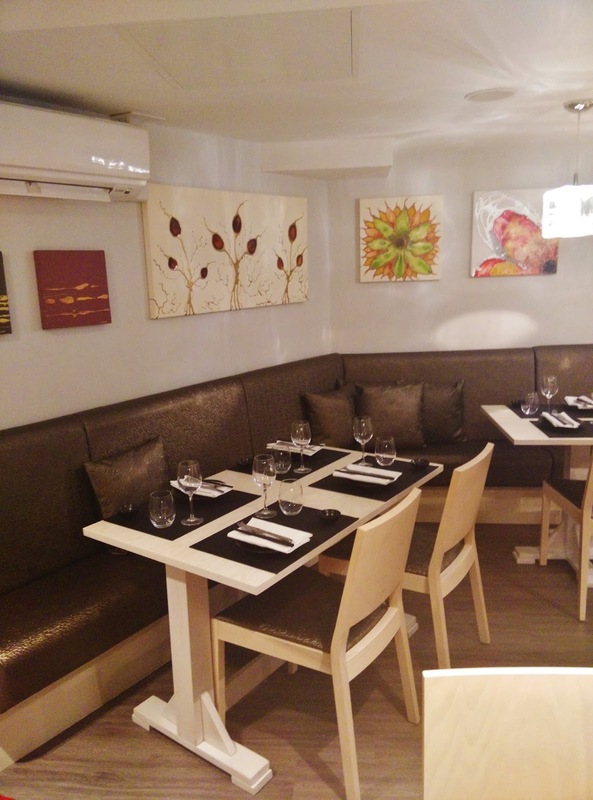 Now, if you want a nice cool place to eat sushi and pan asian cuisine without having to sell a kidney to pay the bill or to end up in a canteen in Chinatown, this is the place you are looking for. 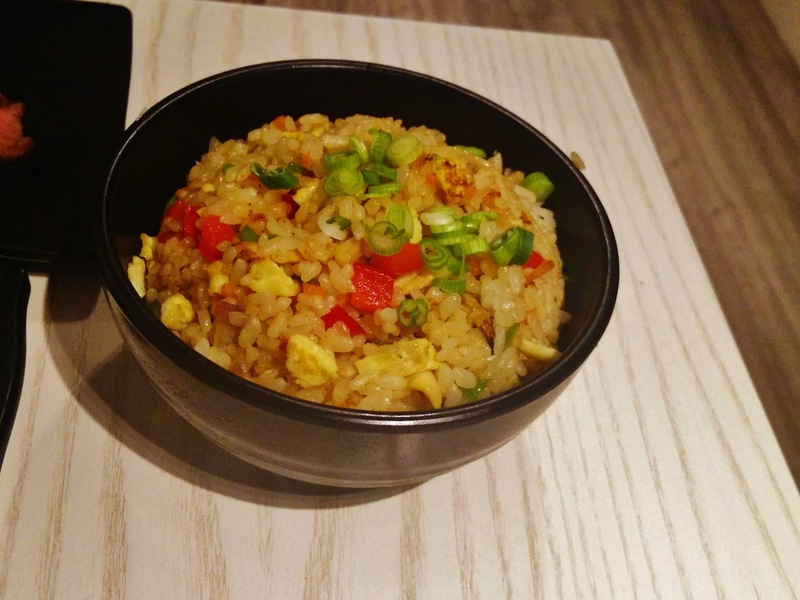 I was impressed by the variety of dishes available and the absolutely reasonable price. The classic sushi, sashimi, tempura specialities are only some examples of what you can have at Sakana, together with some original recipes cooked express just there in front of you. 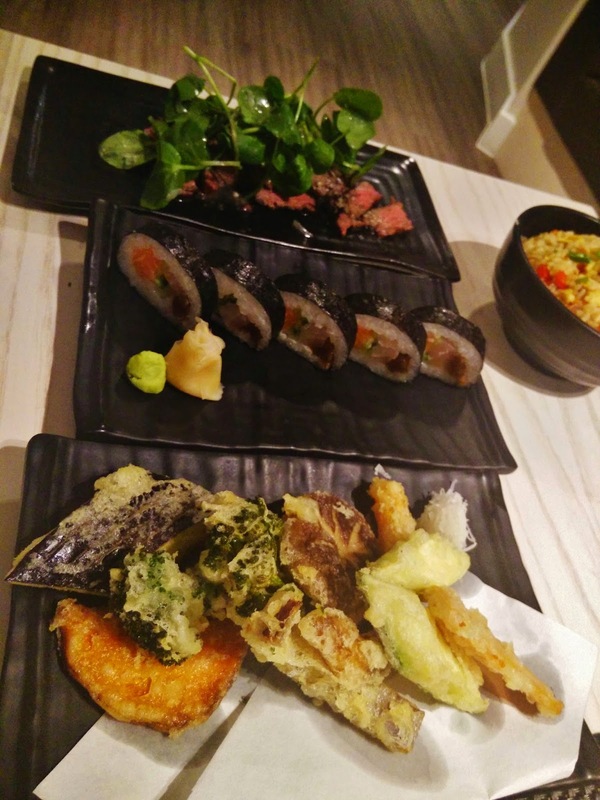 I wanted to try few bits so I went for the set menu of 3 dishes, that will cost you a mere £14.50 and after an endless amount of "mmm" and "wait" or "ok this no sorry that", I went for the Futomaki Fish, Vegetable Tempura and Yuzu and Sesame Beef. All the food we ordered came at the same time, straight to the table from the kitchen as soon at it was ready, as the waiter told us. 5 stars to the presentation of the food: simple, clean, no faffing around, just good food. 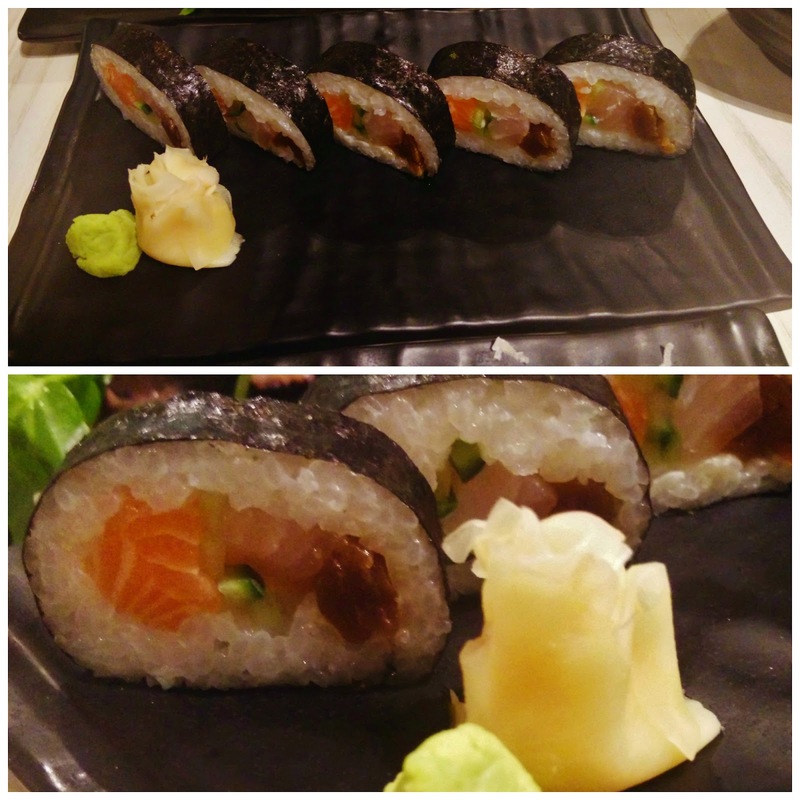 The Futomaki Fish consists of 4 pieces of hand made sushi from the Chef's selection. Hands up, this was my fave. Every single bite melted in my mouth leaving a very delicate taste that can only mean the fish was very fresh and of a premium quality (nothing worse than that cheap sticky chewy sushi you end up eating somewhere else). 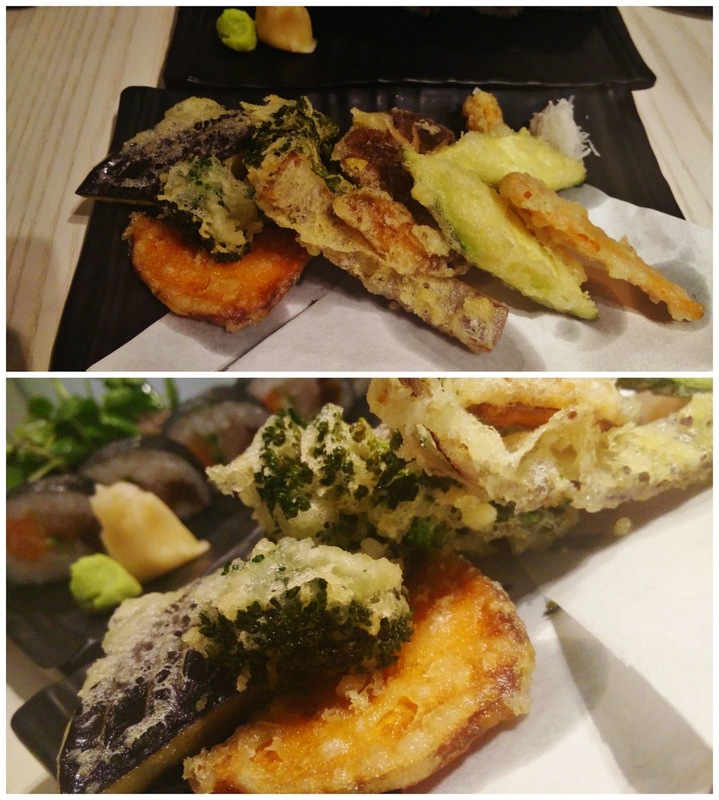 What I appreciated most about theTempura, was the lightweight consistency of the batter, it wasn't too greasy and the veggies inside were soft and fragrant without being impregnated with oil. 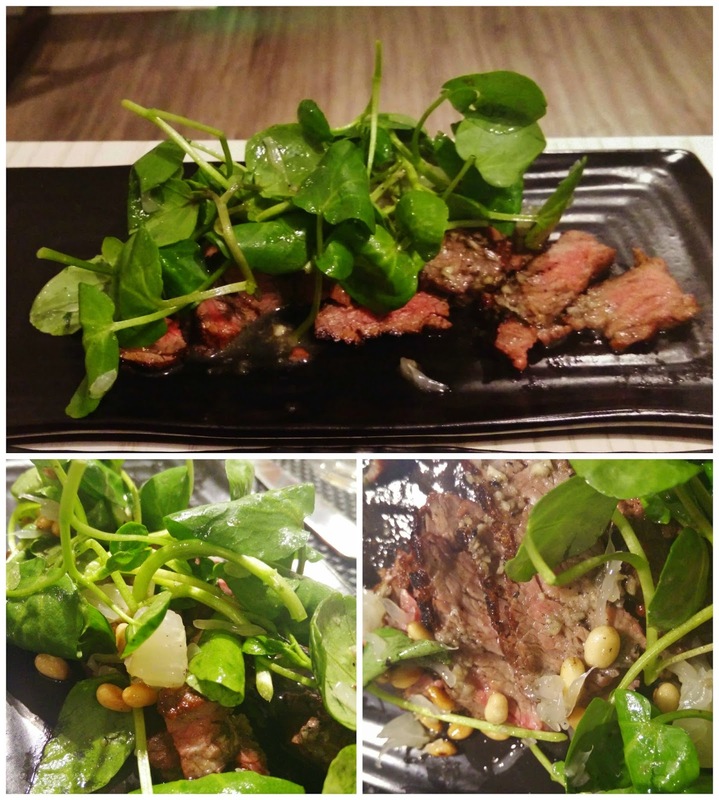 The Yuzu and Sesame Beef was another pleasant surprise, with chunks of glazed meat soft as butter and the garnish of fresh salad and pine nuts. I must remember to try pine nuts and fresh salad on the steaks at home, the combo totally worked it. I ate everything without even sharing with my other half (Joy doesn't share food!!! Cit.) but of course, I had to try what he got. 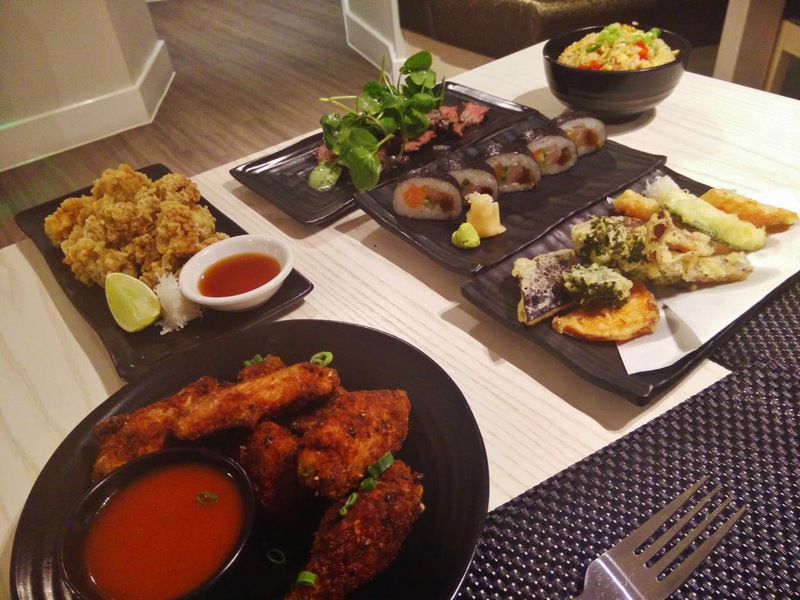 Perfect Husband, that doesn't really fancy the idea of any kind of raw food, went for the Chicken Wings in Sakana Sauce and Squid Tempura with a side of Egg fried rice. 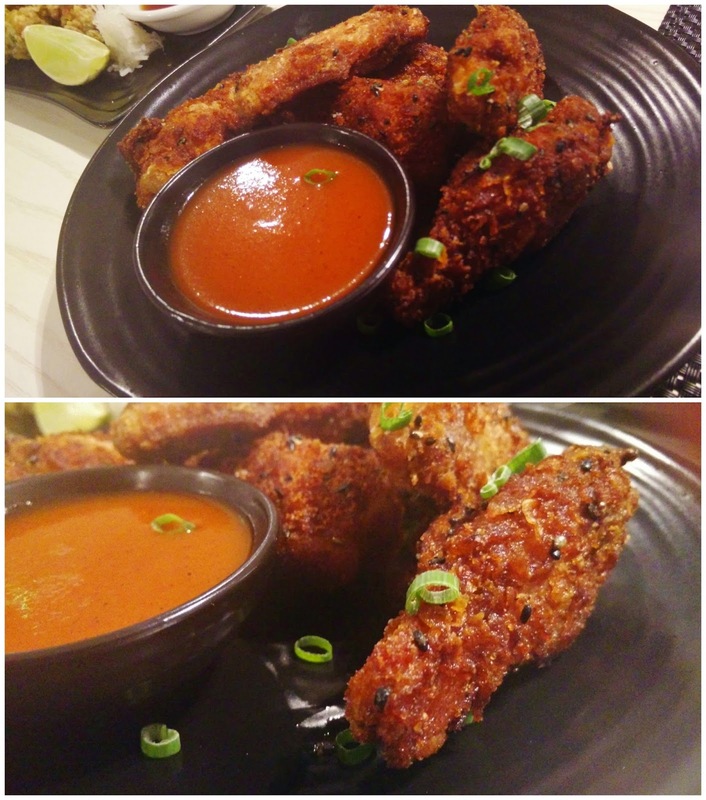 The Chicken Wings were the perfect starter, crispy and tender with a very zingy taste. 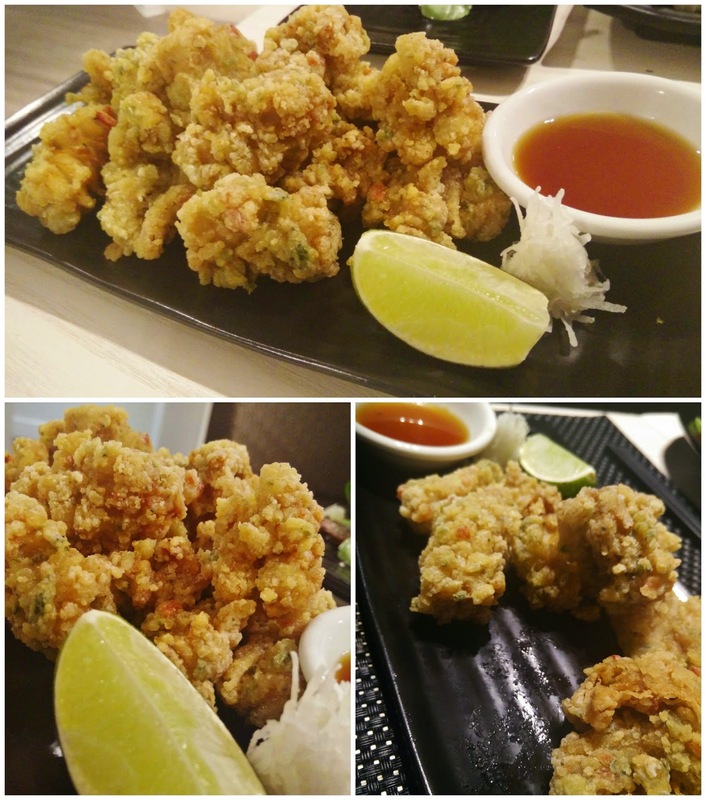 The Squid Tempura was even better than my vegetable one, the consistency of the batter was soft and fragrant, dry and tasty. Could this be any better? 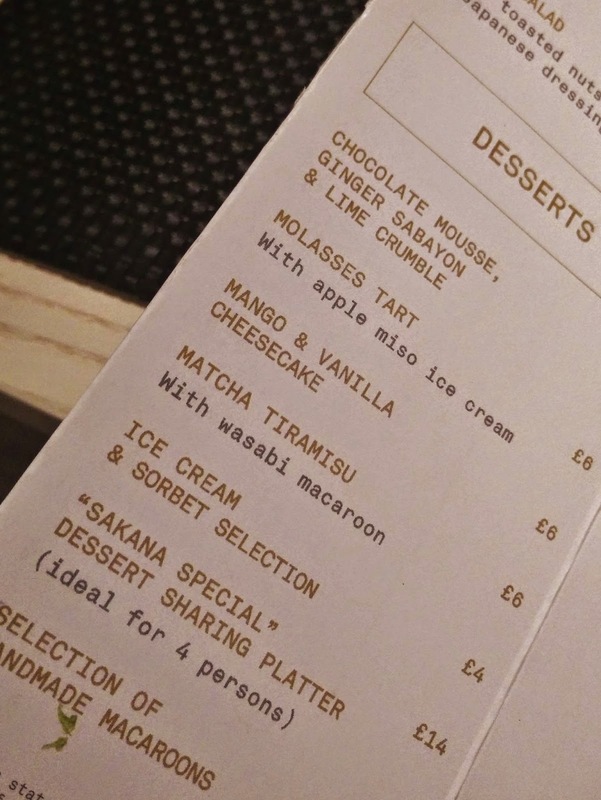 Yes, it can, enter the dessert list please. 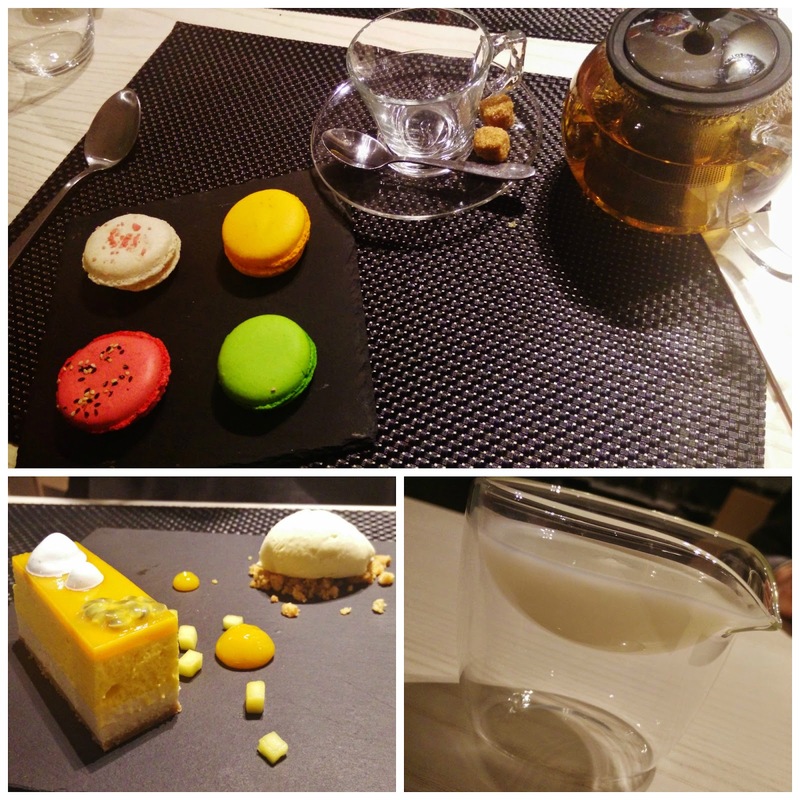 Without any indecision this time, I ordered the Macaroons and Hubby went for the Mango and Vanilla cheesecake. Together with my tea, a delicious selection of 4 handmade coloured treats made its way to our table, saluted by a collective "aaawwwww". The taste of these goes beyond any of my abilities to describe something so good. 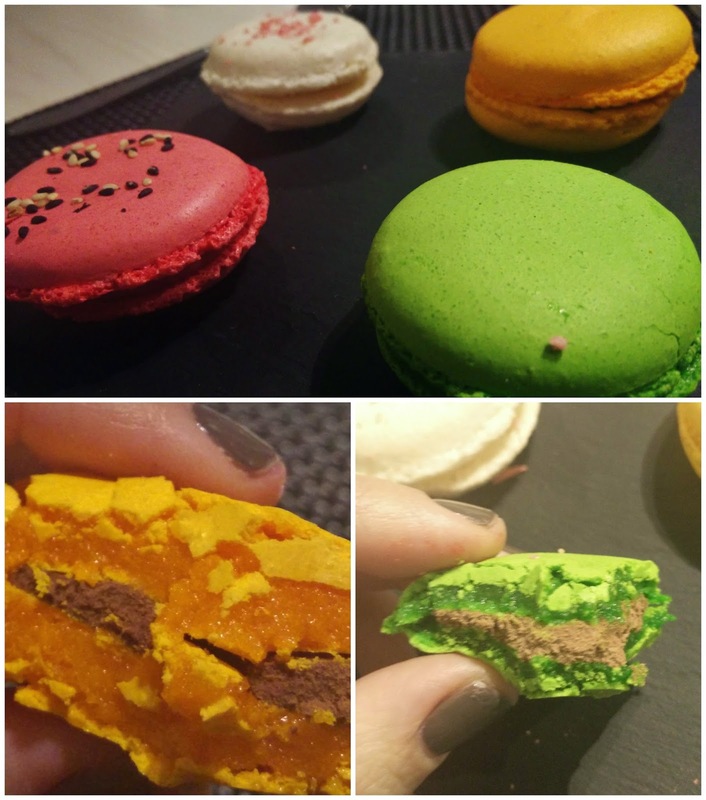 I eat Laduree's ones quite frequently and believe me, these could win the comparison for me. My favourite? without a doubt, the pistachio one, with the hazelnut filling. Last thing I want to talk to you about, regards the staff. I really have to praise these guys for being so nice, professional, polite and kind with me and my family: my Precious Baby DID NOT SHUT UP FOR ONE SINGLE MINUTE during the whole time we have been there and they have never, ever made me feel embarrassed or uncomfortable about the mess he was doing (..and no, they did not know until the end of the lunch I was the invited blogger, if this is what are you thinking about). 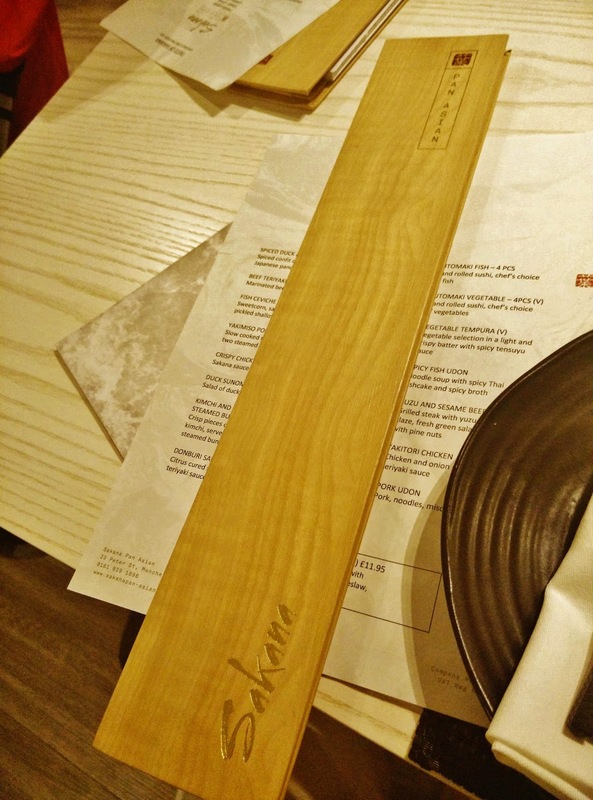 So where are we going to have our posh sushi from now on? SAKANA! And what about our fancy cocktails drinks? SAKANA! What if we want a cool location for a delicious afternoon tea? I have got your back, SAKANA! Here is the website, for more mouthwatering pictures and reservations. I hope my laptop behaves so I can talk to you soon.